Dreamy! 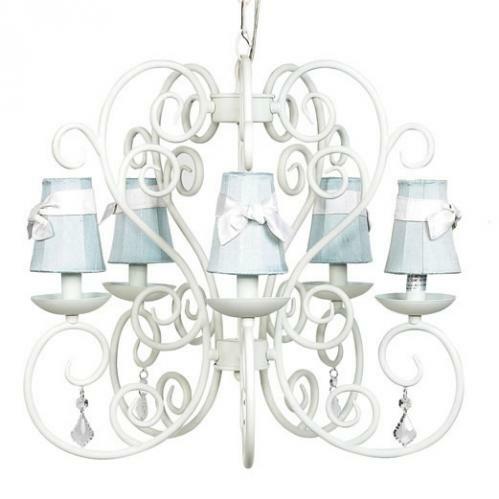 Crystals dangle from each arm of this white carriage chandelier. Each arm scrolls outward to hold all 5 arms and again upward to create the image of a carriage. Blue shades with white ribbons accent this Jubilee Lighting piece. Available as shown or without shades. You may select from all children's chandelier shades.